One thing about doing spoilers for the last 9 years, is sometimes stuff comes to me pretty easy, sometimes I get a tip and I have to follow up on it, and sometimes I barely get a kernel of something, but it’s something and I have to do a lot of digging to get to the bottom of it. 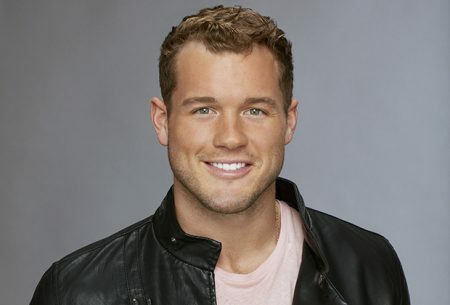 The Colton is the “Bachelor” stuff came pretty easy last week and there wasn’t much to it. Sure, for the last week I had people telling me I was wrong saying they heard Jason telling people he was the “Bachelor,” had other people saying they heard it was someone else, people telling me I don’t have any spoilers anymore, getting told ABC is feeding me false info to throw me off, blah blah blah. Same ol, same ol’ every season. That’s nothing new. But after Nick and Arie the last two seasons, regardless of how solid I knew it to be, with the “Bachelor” announcement you just never know because it’s the only legitimate thing from this show that they can keep the most secret since it’s not taped in advance. Also, they can tell multiple people “You’re our guy,” and then pull it at the last minute from them. They did it the last two seasons. Being wrong about Nick and Arie had nothing to do with this season. Every season is different when it comes to spoilers. I’m full steam ahead for Colton’s season and can’t wait to spoil it. Already have 15 of his women set to be cast and I can tell you filming begins on Thursday, Sept. 20th, which is pretty much inline with the time the last 6 seasons have started. Don’t forget Nell Kalter has her “Floribama Shore” recap now up for your reading pleasure. “Reader Emails” is a tad low right now, but with this announcement becoming official today, I’m guessing a lot of you will chime in. That’s great. You obviously can share your opinion on Colton because it’s a free country, but just know, it doesn’t really matter to me whether or not you’re watching next season, so no need to include that. I get into this more on Page 2. There will be no “Dr. Reality Steve” this week, but the final “Reader Emails” and “Dr. Reality Steve” of the calendar year will be next week, so get any in that you want. Wanted to give you a podcast update. Last week on my podcast with Kat, I said that episode 4 of the “He Said, She Said” podcast would be up today. It’s not, and you can blame my computer for that. Something is going screwy with my Skype. We had calls set to record last week, and both times when I thought I had the issue fixed – I didn’t. So no calls got recorded in time for it to post today. It will be posted next week though as I can now get Skype to work on my phone, just not my computer, so I’ll record it that way until I figure out why it’s not working on my computer now. As for this week’s podcast, it’s honestly one my favorites. A 2 hr conversation with Taylor Nolan. I really didn’t know what to expect going in, but Taylor was as open and honest as she could be and really shared her feelings on the recent broken engagement with Derek. Things I was unaware of that you could tell she’s still a bit emotional over. Because I leave early Thursday morning for my annual first-week-of-NFL Vegas trip, I might post the Taylor podcast at midnight on Wednesday night. Either that or first thing in the morning before I leave. Either way, it’ll be up earlier than it usually is. But this is definitely an interesting podcast where we dive into everything that happened to Taylor during the two seasons she was on, plus, what was the deal with the pic that surfaced during Becca’s season of her and Jason together in Seattle? We’ll get into all of that and more. Don’t miss it. One other spoiler from yesterday’s tweets was that Grocery Joe is going to be on next season of DWTS. It basically came about during the BIP reunion taping last week. As you know from the spoilers, Joe and Kendall break up on the show. But at the reunion, they say they are basically dating long distance. They actually showed footage at the taping of Kendall showing up in Chicago “asking” to talk to Joe and work things out, then we see them on stage, and they say they’re dating long distance. Chris Harrison actually tells Joe he’d like to “help” him with their long distance dating issue and asked him if he’d like to be in LA for an extended period of time. When Joe said yes, Chris offered him a spot on DWTS. I’ve heard that they got Joe and apartment and a car as well. I’m not sure if it was DWTS or the “Bachelor” that did that for him, but that’s what he got. Although, if you’re on DWTS, you’re automatically put up in their housing, so not really sure if they got him something outside of that. Whatever the case, kinda unreal that a dude that was eliminated night 1 of this show has gotten so much “fame” out of this. Pretty crazy. Good for him, I guess. I am Sad for Tia, and am not looking forward for his show. I hope Tia finds a Man that wants Love and Commitment, and I hope he is entertaining. From the edit of Tia, it come off as she was the one manipulating Colton, and only heard what she wanted to hear. I’m no fan of his, but he was straight with her. She was only interested in him and she pursued him on BIP, and she took no notice of what others said (that she should move on and that he wasn’t interested). She needs to mature just like he does. I’m fine with Colton… I don’t care that much. My wife is extremely happy with the choice. So Colton wasn’t into Tia, so what? Yeah, the guy is weirdly wish-washy and overly emotional about people he’s supposedly not that into. Maybe he’ll be terrible. But the show will do its best to prepare him and give him a good edit so I think it will come across fine. He’ll be better than Nick or Arie, that’s for sure. I know that’s a low bar. I’m still expecting a Ben 2.0 season at some point. To me, this is as close to that as you can get. For better or for worse. For all the haters, I really don’t understand. I do understand that you’d prefer someone else. That’s totally fine. But unlike Nick and Arie, Colton’s done nothing illegal, immoral or unethical. You just have a different preference. So, keep that in mind. It’s not like they just cast someone sleezy like Jef Holm as the next Bachelor. It’s not that at all. @rob, The show is too shallow to care that much! Lol People’s reaction of intense dislike or like….. I never read too much emotion into people’s written words, the written word lacks nuance that that the spoken word has masses of. Colton is better than Arie and in a sense Nick. Agree, they could do an awful lot worse, but they could’ve chosen someone with a bit more personality shown so far at least. I know RS always says, show him a previous male contestant that did show personality (that then went onto to get the bachelor lead)….because they never showed it during the bachelorette. I can see why Colton was chosen if you take into account the last past 2 leads and their past history. So my take is yeah I like to make fun of the show but I also have to sort of like the lead at least in order to watch. Ben Flajnik ended up being terrible, but I liked him from The Bachelorette so I watched. Arie was way worse on his own season as well than he was on The Bachelorette. The thing about Colton is, I already dislike him. And I’m annoyed at all the women that think he’s sooo hot that partially led to him getting this gig. Basically, he’s fake, and that’s kinda complicated because it’s a combination of him not being comfortable with his sexuality AND being fame hungry, from what I can tell. As a result, he played both Becca and Tia, so how’s he gonna be any different as The Bachelor? Also to Reality Steve: I def don’t think this is the death knell of the franchise. I just know I’ve stuck to not watching dudes’ seasons that I don’t like, and that’s likely what’s gonna happen with this one. Which is too bad, ’cause I usually like to watch the show. I could probably ditch cable if it weren’t for the fun of live tweeting shows like this, ha. The proposal was definitely a yawner (I spent the whole time focusing on her trying to walk in stillettos on the beach SMH) but I was surprised they didn’t edit out Kevin all but saying he slept with Ashley. The repeated, “I am a SIGNIFICANT part of her dating history.” comments seemed pretty clear. I’m not mad that Colton is the bachelor! I think it’ll be a really interesting season, tbh…. he isn’t afraid to be emotional, and has more personality in his pinkie finger than Arie did all season. I disagree with all the people who think he wasn’t taking things seriously because he’s always smiling or laughing… I think it was entirely his discomfort in the situation. Lots of people laugh when they are nervous or uncomfortable. Either way, lets be real, no lead will ever be the end of this show. People will always watch. I’m with tinyred500. I just think Colton is too vanilla..basically has no personality and waffles on decisions all the time. What the hell is he going to do with 25 women? Jason had so much personality and was just plain hot! Colton is good looking but NOT hot! And, sorry RS, he is NOT Sean.2. I wish the producers would pick someone their audience prefers. Very disappointed…looks like another ho-hum season. Tia’s “you just really need to focus on really figuring yourself out so you can fully give yourself to someone” (sexual orientation aside) – he clearly wasn’t into her and the entire dynamic seemed forced, despite him being upfront. It’s not on him IMO. He was trying to figure things out – their story line hijacked any ounce of opportunity. I agree that Colton is too Vanilla. He embodies that term. I also agree that he probs prefers Men. For some reason I felt nothing for Ashley and Jared’s engagement. I am usually a total sap when it comes to these couples, but the two of them do not seem genuine to me. Something is off. Ashley walking through the sand in heels was extremely odd. As if she knew she needed to be camera ready for the proposal. Something about the two of them is manufactured. @jfranzet, yeah you’re right, bad example. It’s not the only show I like to watch in real time though, and others are on channels that aren’t free. Cable is super ridiculously expensive, though! @adelina, I want to feel happy for Ashley and Jared, but I think Jared just wants to stay relevant. Did anyone read the People mag article about Colton today? He said he was “really happy with myself,” and that he can’t stop smiling about getting the Bach gig. Since that was his plan all along, I believe. Hey Steve, While Chelsea was having her panic attack there was a male producer, with curly dark hair consoling her. Bottom left of the screen and he was very visible. Right? How about a “never happened before” ending? Bachelor ends up coming out of the closet? He gets a label of being gay because he doesn’t conform to what so others see as acceptable behaviour? Just because he’s a virgin and just because he’s immature and doesn’t know what he wants, doesn’t make a person gay. I agree that Colton just isn’t interesting. I really like the lead to be a person whose really fun and goofy who can also be serious. I don’t find Colton attractive at all. I will give him a chance because maybe the edit just doesn’t show more interesting sides to him. I may also add that people on Twitter take it too far. They’re being pretty mean about Colton getting picked. However I will add for anyone thinking Tia was manipulative, yes I can see that with the first two episodes where she told him he isn’t getting the rose from anyone except her, BUT while Tia was on the Bachelor Colton made some very public tweets about how attractive she was. He also mentioned he was on BIP only for her. I think Colton got Tia’s hopes up about being really into her (probably stuff being said in private away from cameras) and then in front of cameras acted like he just wasn’t into her. I feel like that could explain her desperate and confused behavior. I dunno, but someone who is his age and is a virgin because he has never met a female who made him feel like he was ready, says he is tired of not being true to himself to make others happy, and him consistently looking super uncomfortable…doesn’t seem like a big jump to wonder if part of him figuring out what he wants could involve figuring out/admitting he isn’t into women at all. If the NFL is a hard place to be a virgin, I certainly can’t imagine it is an easy place to figure out one’s sexuality. Even if he is completely straight, his edits have made him look like he doesn’t have a clue what he wants which is a strange set-up for a bachelor. Thinking he’s gay has nothing to do with his virginity. If a good looking athletic guy is a virgin in his late 20’s and hasn’t made this choice for religious reasons, then it is perfectly reasonable for someone to wonder if he’s possibly gay. Doesn’t mean he is but it certainly brings up the possibility. I also got gay vibes from Colton, but I thought I was the only one. I also do not think he seems sincere, but more out for fame. As much as I wish it wad Blake or Jason, I have to admit Ill probably still watch. I also dont think the “panic attack” from chelsea seemed real. I have had panic attacks and feel for her if it was real, but it didn’t more like just heavy breathing from crying. Also, I hate that she thought it was a good idea to try to steal Kamil from Annaelise. Not a good friend to say the least. Do you know if her and nick together? It doesn’t seem like Chelsea makes wise decisions in general. Although she can come across as likeable and innocent. I too an NOT happy with Colton as next Bachelor. He’s boring and they’ll have to manufacture alot of drama for his season. I won’t watch most of it, but will probably catch the last 3 episodes to find out who could be next Bachelorette. I also must disagree with the posters who think Colton might be gay. I think their Gaydars are broken and need servicing. It’ll be a whole lot of Colton on my tv in 1 year and I’m sick of him already. Will Colton advise them that the contestants should be male and female? I think he’s most likely gay and confused about his sexuality. Not just because he’s a virgin, but he talked about pleasing everyone else, doing what people expect him to do (football). Meanwhile he is hiding behind an athletic “ladies man”. I think him and Robby Hayes would be good together.